EAM Pitfall #4 - Corrupt Data Foundation | SwainSmith, Inc. This is the fifth post in our blog series, 9 Reasons EAM Implementations Fail (And How to Fix Them). If you want to produce rich and reliable information with your EAM/CMMS software, you have to start with a foundation of good data. This means that the content you pre-load into the EAM software system must be clean and accurate. If this foundation is corrupt, it will wreak havoc with your reporting and make the software frustrating to use. Pre-loaded EAM content falls into two categories. Master data includes the equipment master (i.e., asset registry), MRO materials master (i.e., spare parts catalog), standard job plans, and other databases. Coding structures, sometimes referred to as “reference data,” include work order codes, equipment codes, MRO item codes, problem and failure codes, and other asset management coding sets. Together, all of this content forms the foundational layer of data in the EAM software system. Layers of data in an EAM software system. EAM system content is the most often overlooked element of an EAM implementation, yet it’s also one of the most vital. Content undergirds everything that happens in the EAM software system. Transaction records (e.g., work orders and purchase orders), reporting, KPIs, analysis, you name it—content plays a role in each. For example, when you request a spare part, the system has to pull information from that part’s record in the MRO materials catalog. When you generate a report on work orders in progress, the system uses work status codes to filter the data. Every task performed in the EAM software system depends in some way on pre-loaded content. Despite the crucial role that content plays in generating EAM information, we see bad content all the time. Equipment in the plant is not identified in the system. Equipment records have inconsistent naming conventions or lack classification structures. Inventory in the storeroom is not set up in the system. Quantity-on-hand information is inaccurate. Failure codes are too broad to produce useful information. And the list keeps going. When your master data is incomplete or inconsistent, or when your coding structures are imprecise or confusing, it has a direct impact on the quality of the information that you extract from the EAM software system. Thus, it’s essential to develop good content at an early stage in your EAM implementation. A structured asset hierarchy makes it easy to find the asset you want in the database. Developing master data that meets these standards takes work. It can require multiple plant walk-downs and extensive knowledge of industry taxonomies and naming conventions. The process can be expedited by working with an experienced data development partner who can help you collect, cleanse, and standardize your data. Detailed coding structures give you granular insights into asset issues and costs. As with master data, developing good coding structures can take significant effort and knowledge of industry standards. Rather than building your codes from scratch, a better option is often to start with a library of industry-accepted EAM coding structures and then expand or modify those codes as needed. If your master data and coding structures don’t meet the standards for data integrity outlined above, you’re going to have problems. A corrupt data foundation makes the EAM system harder to use, compromises reporting, and discourages users from buying in. On the other hand, a solid foundation of pre-loaded content will make your EAM or CMMS software system easier to use and help it to deliver useful information. Are you building on a corrupt data foundation?  SwainSmith can help. We help clients develop world-class EAM master data and coding structures using our proprietary data and coding libraries. Contact us at info@swainsmith.com or 828-215-9471 to get started. Next week’s post will focus on asset management practices, processes, and procedures—and how they affect an EAM or CMMS software implementation. Stay tuned for EAM Pitfall #5: Informal or Inefficient Practices.